What Is The Titan Pro Executive? 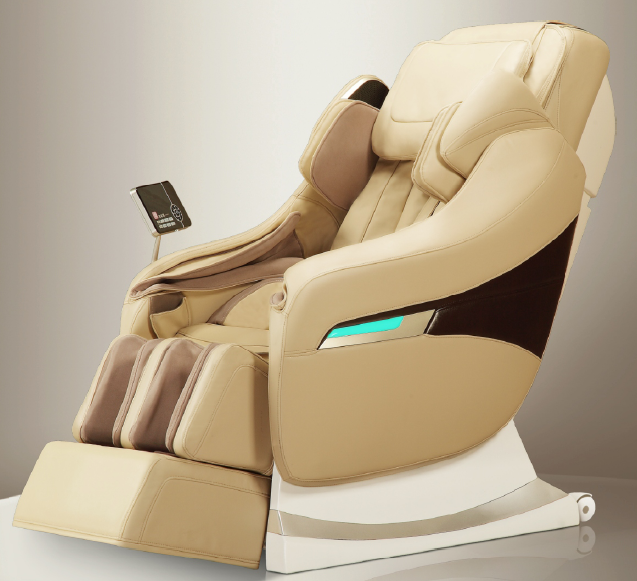 7 Noteworthy Features Of The Titan Pro Executive Massage Chair! Here’s How It Compares To Other 3D Chairs! Final Recommendation: Should You Buy It? Some Additional Material You May Wish To Check Out! 3D Rollers Can Protrude 4.7 Inches. This Results In An Incredible "Human" Like Massage! Hard To Find A 3D Chair That Costs This Little! 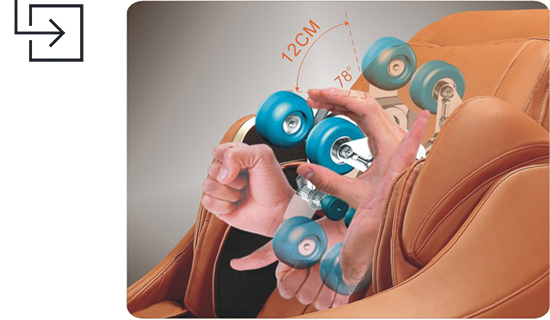 With 20 Foot Airbags & 3 Rows Of Foot Rollers, Foot Massage Is Incredibly Effective! It comes with a staggering 61 airbags! It comes with 3D roller technology. It can accommodate a wide user height (4’11-6’3) and weight (up to 285 lbs) range. As far as massage intensity is concerned, you can expect about a 7-9 (on a 0 to 10 scale) from this chair. Can it do deep tissue massage? Yes it can, but only just! 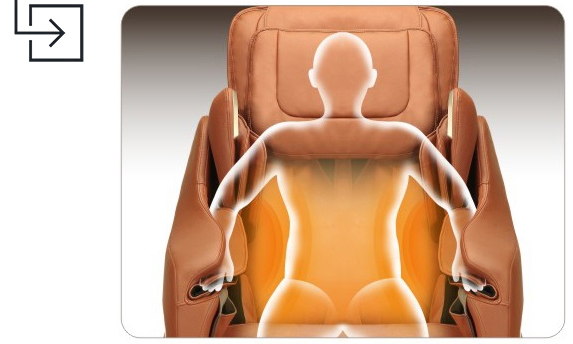 Some of the other previously reviewed chairs such as the 4D JP Pro Premium can do a much stronger deep tissue massage. 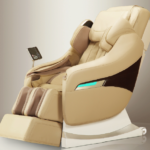 Titan World LLC are a massage chair importer and distributor based out of Carrollton, Texas. The chair design, engineering, and manufacturing are all done in China (with a few exceptions). Interesting fact: did you know Titan and Osaki are brands that belong to the same company? In fact, Titan, Osaki, and APEX all come from the same company! That’s one reason there’s a lot of similarities between all of the different chairs. Anyways, I figure you may wanna know. This chair comes with 3D rollers that can track up to 32” from neck to lower back. Let’s talk about 2D/3D rollers for a second! But before that, let’s take it a step backward and talk about rollers in general. What are rollers? If you’ve ever sat in a massage chair before, you’ll have felt some sort of mechanical contraption roll up and down your spine. These specially designed wheels are often referred to as rollers. A poorly designed set of rollers usually means an ineffective back massage! Rollers are for this reason the most important component to a massage chair, in my opinion. Simply said, these are rollers that move up/down and left/right. If you were to visualize what this looks like, picture a set of roller wheels moving up/down and side to side along your back. Are the exact same as 2D with one difference. 3D rollers have the added ability to protrude in/out. This extra dimension gives 3D rollers the ability to really push deep into the back muscles. The outcome is a very intense deep tissue massage. Does that make sense? It’s kinda analogous to 3D/2D movies in many ways. In a 2D movie, the image is based on the TV’s length and width. In 3D movies, the image still conforms to length and width, but also pops out, which is why you feel it’s so real! The same analogy can be applied when discussing 3D/2D rollers. Hopefully that really drills the idea home! The 3D rollers in the Titan Pro Executive massage chair can protrude in/out by up to 4.7 inches, which is pretty good considering most competing chairs can only do about 3.3 inches or so! I thought i’d seen the most number of airbags in a massage chair when I reviewed Osaki’s 7200H (51 airbags), but then this guy came along! 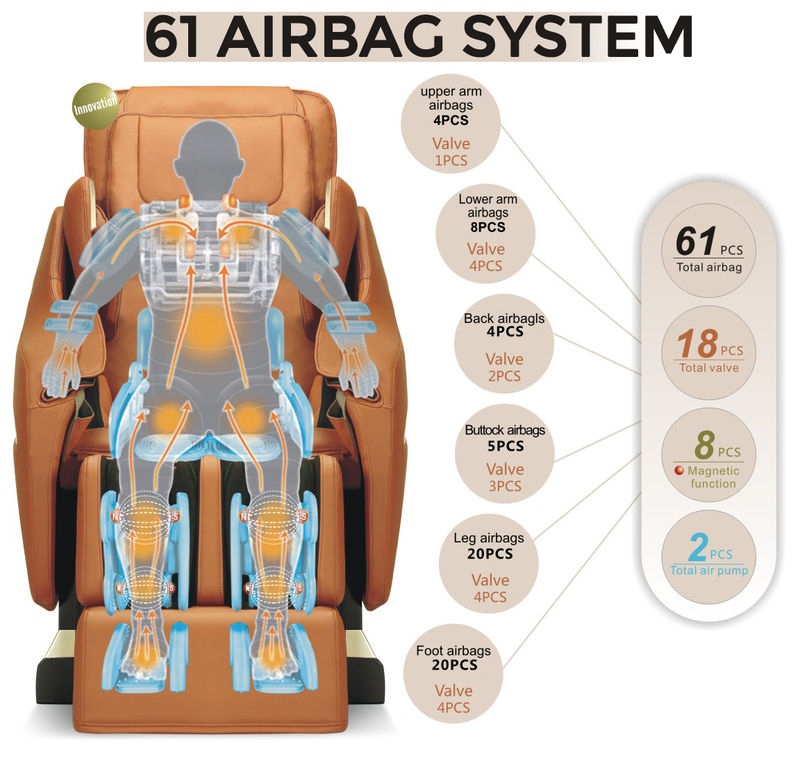 Does having an incredible number of airbags really equate to an awesome massage experience? Not necessarily. You could have fewer airbags that cover the exact same surface area, and it’s very likely you’d have similar results. More airbags does not necessarily equal better! It’s very important you understand this before buying a chair. More important than airbag number is airbag placement and coverage! Lower back heating pads are a common feature to most massage chairs. Calf heating elements on the other hand aren’t as common. This chair has both. The heating pads can reach temperatures of 104-122 Fahrenheit (40-50 Celsius), so it gets pretty toasty! I’ve always been a fan of heated massage chairs. Heat helps improve circulation, and loosen up muscle which in turn makes massage more effective. I also find the heat to be therapeutic and relaxing, although I know not everyone feels the same! Most chairs only have a single row. Having 3 rows of foot rollers allows for a much more thorough foot massage. Instead of only receiving a foot massage at the front of the feet with a single roller, you can now receive massage over the entire sole, all the way back to the ankle. This chair features a closed toe system. In other words, your toes will not be visible or open during massage. Is this a good thing? Yes and no. 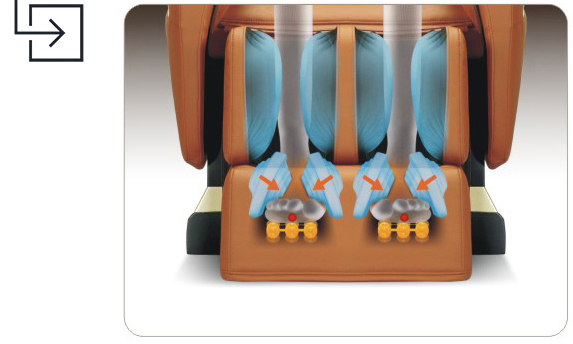 Yes, because it helps keep your feet in place, so the rollers and airbags can effectively reach all areas. No, because of how disgusting (sweat, smell) it can get over time! Whose sole purpose is to provide a compression style massage to the sides and top of the feet. Pro tip: only use the massage chair after you’ve showered! This chair has 6 auto programs to pick from. These include Time, Fine, Relax, Waist Stretch, Air Pressure, and Stiffness. Selecting one of these modes is very simple, as each one has a button on the remote. Preset modes are my favorite because there’s no messing around with settings! Manual mode is great if you’re looking to target a specific area of the body. It’s also great if you want to employ a specific massage technique such as kneading, shiatsu etc. 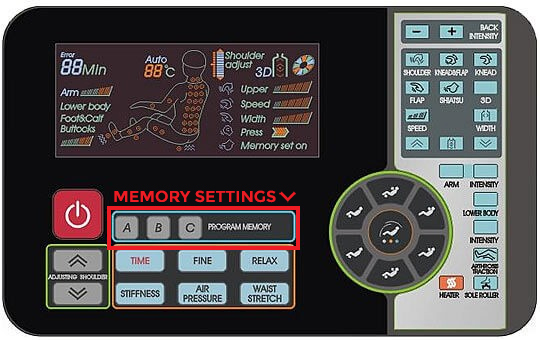 A cool feature that you get with this chair is the ability to save customized manual massages into 3 different memory slots (A, B, and C). This is especially useful for someone who discovers a manual mode that they like and wish to save for future use. 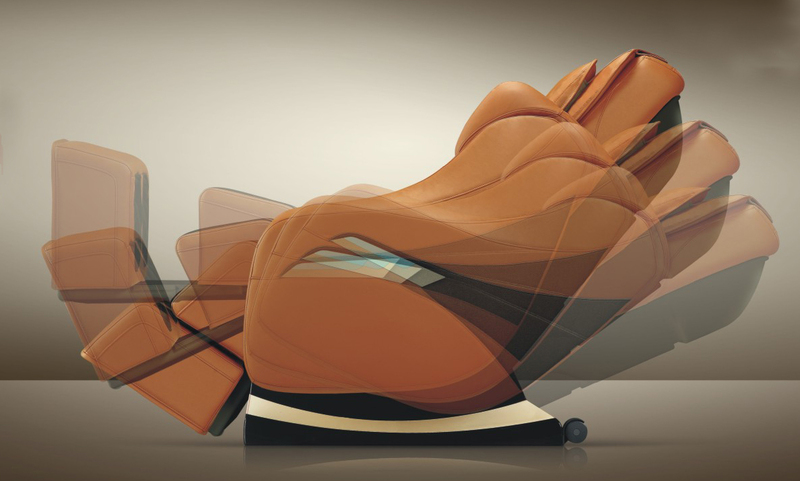 The Titan Pro Executive massage chair has 2 stages of zero gravity recline. The first stage is your “normal” zero gravity position where the legs are elevated relative to the heart. The second stage is simply a more reclined version of the first. How do you enable zero gravity? The button in the image below cycles between different recline modes. Also, you can customize the recline position as required if you want something different. One of the few massage chairs I’ve seen that’s Bluetooth friendly. What this means is that you can sync and connect your smartphone directly using Bluetooth protocol. No need for wires. Once your phone’s all synced up, you can play music from the chair’s built in speakers. Even better is the ability to control the massage chair right from your phone or tablet! Yup, all you gotta do is download the app from Titan. I don’t care much about the music, but being able to control the chair directly from my smartphone is pretty rad! If your chair will be used by multiple people, it’s important you consider a chair that’ll accommodate various body types. This is one of the only massage chairs I’ve seen that can fit someone less than 5 feet! Why is this a big deal? The further the rollers can protrude, the more “human like” the massage. Also, with increased protrusion, you get deeper and stronger intensities. 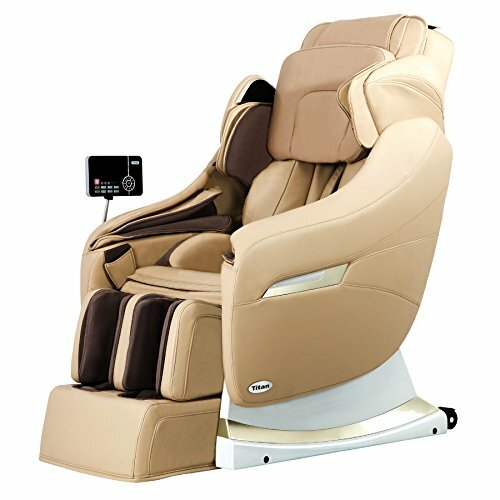 There’s currently a deal on massage chair deals which has this at about $3K; regular price is $4K. Equivalent 3D chairs similar to this will run you up to $5K easy! The 3 rows of foot rollers built into this chair is a definite upgrade to the dual (2) foot rollers common to most Osaki chairs. Nice to see improvements being made to existing designs! Would've Been Nice To Have More Auto Modes! The only shortcoming with this chair is that it could do with more than 6 auto programs. Definitely not a showstopper because you can still run the chair in manual mode and save your favorite settings to 3 different memory slots. Below is a side by side comparison of the Titan Pro Executive with 2 very similar 3D massage chairs. Specifically we will be comparing the Titan to Osaki’s Pro Dreamer and Pro Cyber. As mentioned earlier, Titan Pro Executive has an overall intensity ranging from 7-9. In comparison, both Osaki chairs can produce a slightly higher 7-10. Not much of a difference between the 3, but worth noting nonetheless. User flexibility is all about how well a massage chair can accommodate different body types. If you’re like most people, chances are you probably won’t be the only one using the chair at your home. Your wife, kids, siblings, parents will also be using it. If this is the case, user flexibility becomes incredibly important. There’s 2 things you need to specifically consider: height and weight range. Out of all 3 chairs, the Titan Pro Executive has the best user flexibility in my opinion. It has a height range of 4’11-6’3 which covers both short, tall, and medium heights, and boasts a max weight rating of 285 lbs. Second in place is the Pro Dreamer which also has a good height range. Last, and with the poorest user flexibility is the Pro Cyber. All 3 chairs make use of 3D roller technology, and all 3 have a very similar track span. Pro Dreamer and Pro Cyber rollers can both track up to 31”, Titan Pro Executive can do 32”. The big difference between the 3 chairs is roller protrusion i.e. what distance are the 3D rollers able to extend in/out? Pro Dreamer and Pro Cyber rollers can extend in/out by 3.15 and 3.3 inches respectively, Titan Pro Executive rollers can extend an incredible 4.7 inches! How does this relate to overall massage experience? Imagine an extra 1 inch pushing into your back and neck muscles! The additional protrusion capability of the Pro Executive makes for a deeper, more intense massage. Operating a chair in auto mode is awesome. It saves time from going in and figuring out all the manual settings. 90% of the time I run my chair using one of the many preset auto programs, and I love it! That being said, you don’t get as many auto programs with the Titan Pro Executive as you do with the Pro Dreamer and Cyber. Pro Dreamer has 8, Pro Cyber has 9, and Titan Pro Executive has 6 auto programs. More airbags doesn’t make one chair better than the other! Both Osaki chairs make use of “next gen” airbag technology. In layman terms, this simply means reducing airbag number, without affecting surface coverage. In my opinion, all 3 chairs are decent as far as air compression massage is concerned. Pro Dreamer and Pro Cyber both have 2 rows, where as Titan Pro Executive massage chair has 3 rows of foot rollers. The more foot roller rows, the better! Why? Having 3 rows of foot rollers versus 2 allows you to target a larger area of the foot. 3 rows makes it possible to massage the Achilles, heel, and ankle area. 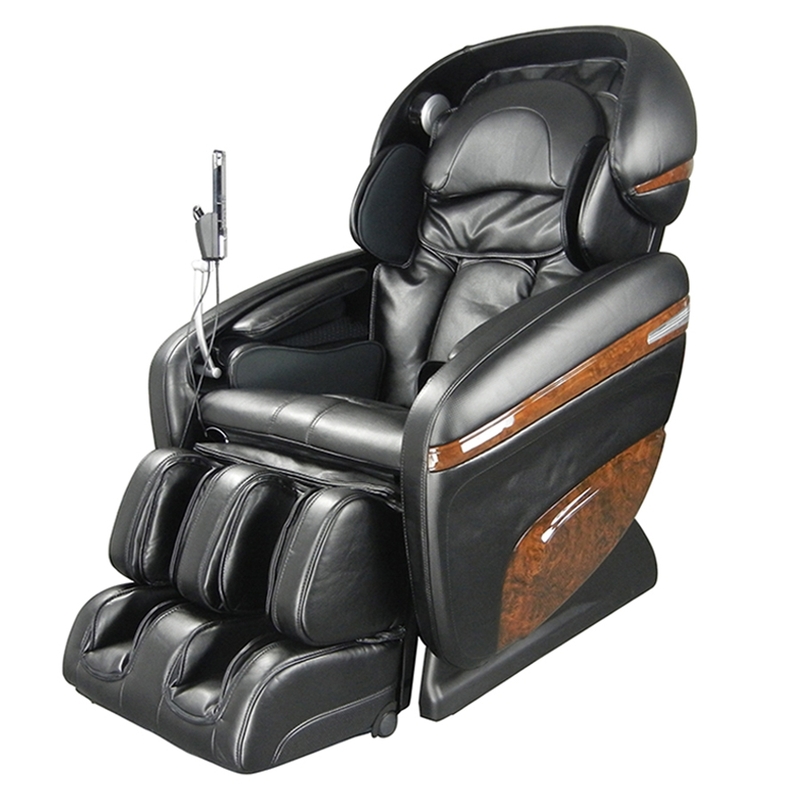 The Titan Pro Executive allows for customized massages to be saved into 3 memory slots (A, B, or C). There is no memory save capability on the 2 Osaki chairs. Heating pads are more important than you think. Not only does it feel good, but heat loosens up muscle, thereby making it easier to massage and manipulate. Titan’s Pro Executive features heating pads in both the lower back and knee/calf areas. Pro Dreamer and Pro Cyber have heating pads in the lower back area only. Definitely a nice to have, but not super important in my mind. 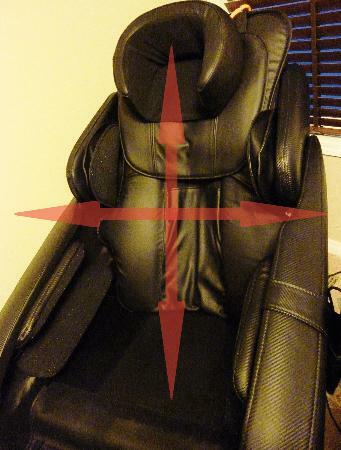 The Titan Pro Executive massage chair does not have a vibrating seat. Both Osaki chairs do have this feature. Dimensions are one of those things that most people forget to consider or look at. It’s very important to understand because it dictates placement of the chair. That being said, Titan’s Pro Executive is a slightly larger chair in comparison to the Pro Dreamer & Pro Cyber. The approximate upright and recline dimensions are listed for all 3 chairs in the table above for your convenience. Last but most definitely not least, price! Now, keep in mind price is always subject to change, so whatever we see now may not be the same in the future. 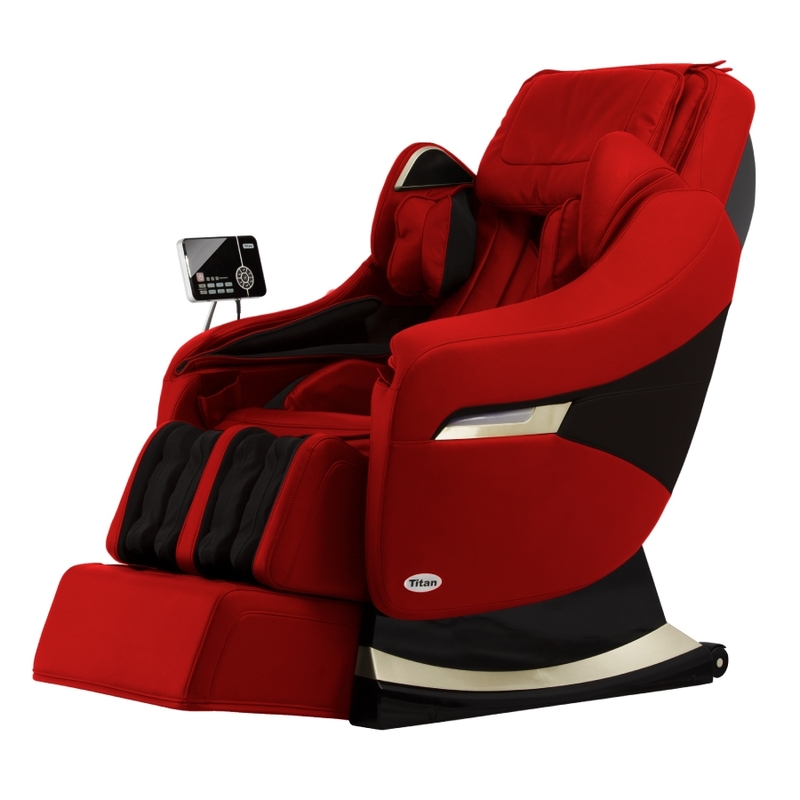 For what it’s worth, Titan Pro Executive currently sells for about $3K on massage chair deals, which is an absolute beast of a deal, if you ask me! $3K for a chair that has 3D rollers!? Insanity! Both Pro Dreamer and Pro Cyber are at about the $5K mark (also on massage chair deals). 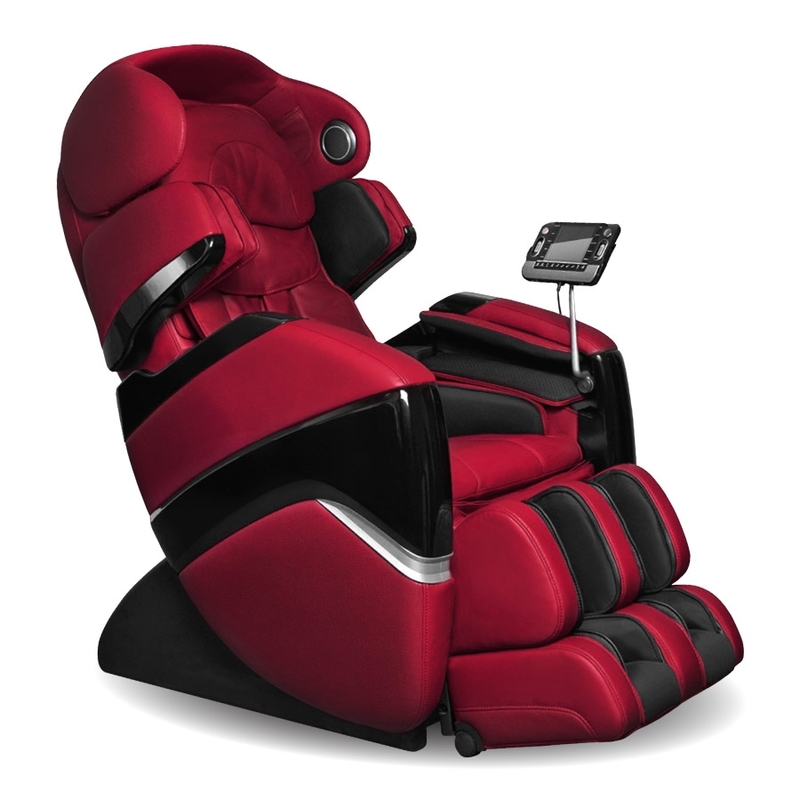 As far as 3D massage chairs are concerned, the Titan Pro Executive is right up there with the best! Out of all the chairs I’ve reviewed that have 3D rollers, my favorite is the Pro Executive. If you go through the differences listed above, you’ll see why! Should you buy the Pro Executive? Absolutely! When should you buy? Now! If you buy using my affiliate link, you get special privileges! During checkout, enter in “MAM5” for an extra 5% discount. For a chair that costs $3K, that’s $150 off! Yes I will make a commission if you do buy using my affiliate link. My affiliate links will redirect you to massage chair deals, where you can check out user reviews of the chair. I recommend massage chair deals because they have a good selection of chairs to choose from, they’re very pleasant to deal with, and they offer a lowest price guarantee (meaning they will match and potentially beat anything lower). I always recommend you do your due diligence and research to find the best possible deal. Compare prices in the market, and use the discounts and seasonal sales to your advantage! These price drops don’t last long, so if there’s a chair you’re interested in, make sure you act! When you’re ready, feel free to head over to massage chair deals by clicking the link below! Finally, if you need more technical information, I definitely recommend you check out the user manual. Click here to read it.